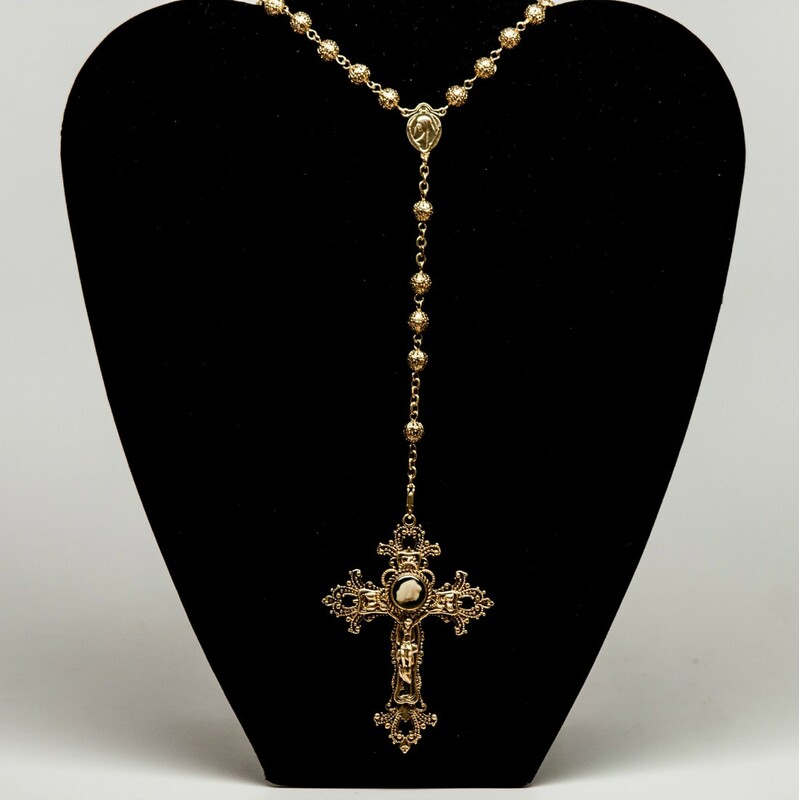 The Victorian Prayer Rosary is a magnificent rosary with exquisite filigree prayer beads layered in 22K Gold. What makes this rosary so special is that its ornate crucifix is the only rosary to hold a Nativity Stone, making it the most special and unique Catholic gift. 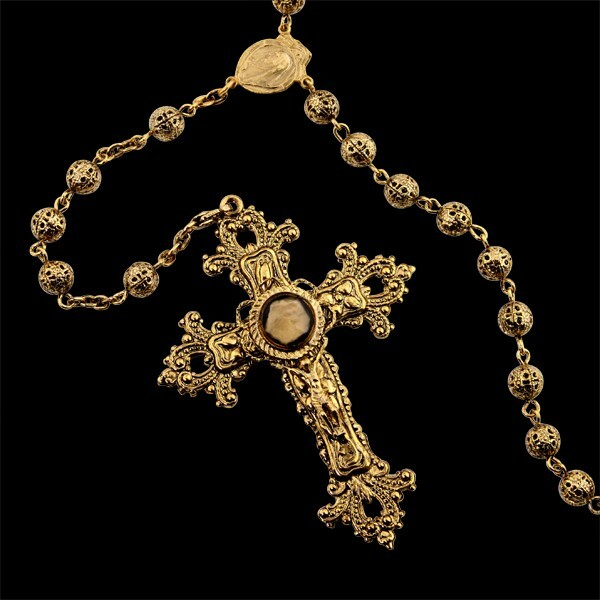 This exact rosary was presented to Cardinal Ruini at the Vatican during the dedication of the Nativity Stones plaque during the year of the 2000 Jubilee. (Click Here to Watch) The Nativity Stones was designated as one of the few Jubilee 2000 licensed gifts by the Vatican worldwide. The Victorian Prayer Rosary makes the most meaningful Catholic gift for Advent, Christmas, Easter, First Communion, Confirmation, or any Holy occasion. 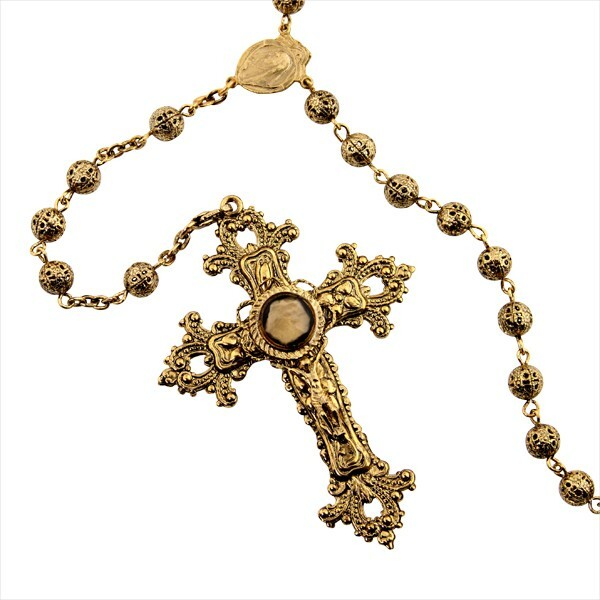 The Victorian Prayer Rosary is an exquisite Catholic gift for the true believer and the soul that seeks solace through prayer. It is the Ultimate Catholic gift! Rosary bead chain length: 40"